Are you looking for an all service moving company? Moving from one place to another requires quite a lot of work, and that’s one of the major reasons why most people opt for a moving company to handle the entire relocation. 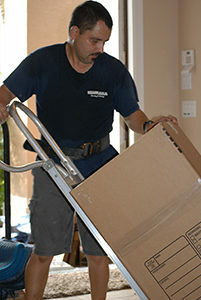 It is essential to hire a moving company that is reliable, experienced, trustworthy and offers competitive pricing. All these features are available in South Florida Van Lines. 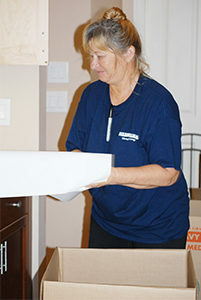 Let our expert movers help you make the process of your relocation swift and stress-free. South Florida Van Lines is an independent all service moving business comprised of residential and commercial movers as well as secure storage warehouses for clients living and working in the Florida area. Led by industry veterans with years of moving experience, South Florida Van Lines is supported by years of extensive training and thousands of on-the-job hours. 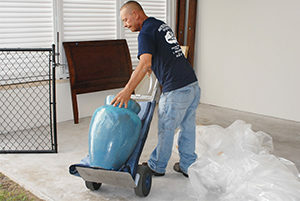 South Florida Van Lines is a one-stop-shop for all moving and storage services. Whether you need residential local moving service, commercial long distance relocation assistance, international moves, storage warehouse space, or any other moving-related service, we can help. In an industry with numerous relocation services providers, South Florida Van Lines has the responsibility to bring to all clients a professional and quality service and to be a ‘one of a kind’ moving and storage company. Our skilled and experienced team can do any size job. Customer satisfaction is our top priority. Whether you are moving into a new property across the neighborhood or across the state, our team of expert movers can help. We offer several residential moving services including local moving, long distance moving, interstate moving, cross country moving, piano moving, furniture assembly and delivery, packing/unpacking, loading/unloading, and more. All our employees are fully insured and licensed. Need help packing, moving, and settling into your new office? South Florida Van Lines can help! Save your money, time, and prevent property damages, and on-the-job injuries with our specialized office moving service. We have the skills and professionalism to get the job done for you! At South Florida Van Lines, we can disassemble, pack, load, move, unload, unpack, and reassemble your office equipment and furniture in no time. Apart from providing responsive service, our office movers are insured, licensed, and background-checked, so you don’t need to worry about any additional workman’s compensation should something go bad. We offer secure and cost-effective short-term and long-term storage solutions to homeowners and business in the Florida area. Sometimes, during the move, our clients notice that they need to put some additional stuff in a storage. There are various reasons for this, but it’s always for the best when a professional moving company can offer reliable storage. Our secure and affordable storage service streamlines the moving process when our same moving trucks that carry your belongings to your new home take and take your extra furniture to our storage warehouse facility or anyone at your convenience.